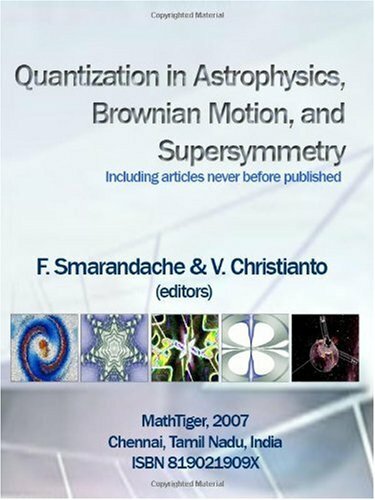 The present book discusses, among other things, various quantization phenomena found in Astrophysics and some related issues including Brownian Motion. With recent discoveries of exoplanets in our galaxy and beyond, this Astrophysics quantization issue has attracted numerous discussions in the past few years. The modern approach to quantum cosmology, as initiated by Hartle and Hawking, Linde, Vilenkin and others. We explain how one determines the consequences for the late universe of a given quantum theory of cosmological initial or boundary conditions.